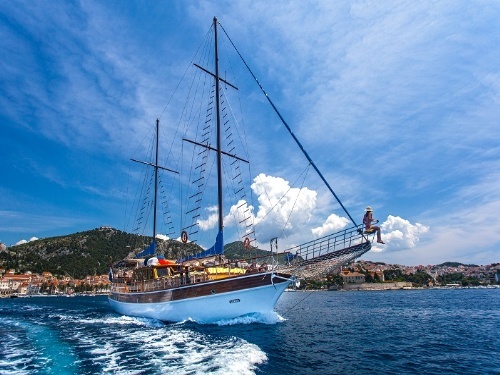 For those who want to experience a romantic cruising along the coast of the Adriatic, spend their relaxing vacation enjoying the beauties of nature on Croatian coast, great scenery and crystal clear sea we suggest gulet cruising vacation. Gulet (gullet) is a traditional custom made wooden boat, hand built, equipped with sails but also with the use of motor power. It can accommodate up to 16 people and has a plenty of deck space and spacious cabins bellow deck. These boats are very popular among tourists who prefer relaxing while sunbathing or having dinner watching the sunset from the deck. Most of the gulets are quite luxurious, with air conditioning, private bathroom in each cabin, TV, teak deck, fully equipped professional galley and additional equipment. All are fitted with facilities you would expect to find in a five star hotel. 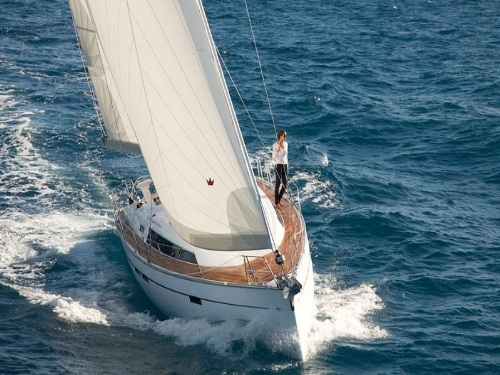 You can spend your vacation enjoying the company of your friends or family and therefore chartering the whole gulet. You will have the crew at your disposal that will take care of navigation and provisioning. Another option is the cabin charter which able you to divide the gulet with other guests which can also be as interesting. This is a holiday with a difference, one in which every detail is tailored to suit your personal requirements so that you have the time of your life, every time. We offer to you most individual holiday with your idea of the itinerary, individualization of menu with Adriatic sea food, best Croatian wines and beverages and possibility to visit Croatian historical places on Croatian coast or in continental part.